Double the Trouble are the perfect reflection of what is to be of this land. Being fluent in both official languages, these identical 13 year old French-Metis and Cree twins perform Traditional Metis fiddle tunes mixed with original and contemporary music. For the past 8 years, Luc and Aidan Wrigley’s unique style and sound have been leaving their audiences amazed and wanting more. At the age of 11, they recorded a full album and toured the Prairie Provinces from Winnipeg to Jasper. Spencer Myers is a musician from Belmont, MB who plays guitar, drums, harmonica, bass, and keyboard. In 2013, Spencer joined Winnipeg’s Jump The Clutch on Rythym Guitar before becoming the band’s lead guitarist in 2015. Jump The Clutch’s single “Day Worth LIvin’ For” reached #23 on the iTunes top 200 Chart in February 2015. Spencer has recently been performing with singer Nicholas Wytinck of Cypress River. Most recently, they performed at the Harvest Moon Festival alongside bands like Scott Nolan, Joey Landreth, and Begonia. On his upcoming EP, Canadian Classic, Spencer wrote, arranged, and played all of the instruments, and attempted to sing. Roman Clarke takes gospel harmony, modern R&B, and the oblivious charm of the 1970’s and rolls it all into a genre that is becoming of his inherently nostalgic generation. The juxtaposition, the throwback sound and the boundless energy of a near teenager, is the chief explanation for the definitive sound of Roman’s music. This flavour of song that Roman has decided to offer up to his community doesn’t usually surface in the musical landscape of rural Manitoba, and will no doubt stand out among the rest. A power rocknroll trio with flavours of blues and hiphop, this Winnipeg group is a favourite amongst the fans who frequent the dive venues. Featuring guitarist Tim Haverluck, bassist Jay Bachman, and drummer Tim Iskierski. Original and traditional Bluegrass with a focus on hard driving songs, sweet harmonies and a clear and direct delivery. Formed in the summer of 2005, Stonypoint became Southern Manitoba’s newest Bluegrass sensation. Known for their appreciation of traditional bluegrass music and love of playing fast this group will have you smiling and grinning in no time! Get ready to kick of the shoes and dance barefoot in the bluegrass. This outfit is comprised of local favourites Ida Henderson & Andy Chamberlin, who have quickly found themselves playing many of Manitoba’s best festival stages alongside top touring artists in Canada. Lanikai, like the Hawaiian beach they get their name from, mix the serene and the stormy, pulling together lush, sparkling alt-pop vibes and swaggering ‘60s soul groove to create a timeless, distinctive sound. With one foot in the past and one in the present—one on the shore and one in the sea—Lanikai’s debut sets them apart from their contemporaries. Instead of breaking under current trends, they bend with them. Instead of being haunted by influences that came before, they celebrate them with subtlety. Their first, self-titled offering distills this approach to its finest form: gorgeous, poignant pop music. The Reverend Rambler might not be an ordained man of God, but his passionate rhythm and blues inspired tunes will have you feeling the spirit something fierce. The music itself draws from the entire gamut of Americana music ranging from the gospel blues of Blind Willie Johnson to the hillbilly fingerstyle of Merle Travis, all injected with the high octane energy of punk rock. The Reverend preaches tales of hope, shame, degradation and salvation with an undeniable fervor. Watching The Reverend, AKA Matt Colpitts, in action is a singular experience. Born and raised on the Canadian prairies, Joey Landreth has grown up with a guitar in his hands. Working as a side man through his teens and early twenties Joey grew up on the road, playing music across genres from gospel to country. At twenty-five Joey joined forces with his older brother as they worked on their first independent project The Bros. Landreth. The band was immediately successful, winning a Juno with their first album, among other awards across multiple genres. The band rose quickly to success turning the heads of musical heavy-weights such as Bonnie Raitt, John Oates and Jimmie Vaughan. Joey has the rare ability to be at once vulnerable and open yet seriously blow audiences away with his musical proficiency. A five piece Alt-Pop band based out of Winnipeg Manitoba. With a wonderful mix of high energy guitars, tight bass lines, captivating rhythm sections that make you wanna get up and dance, and strong emphasis on songwriting makes this band a stand out creature on its own. Comprised of Ben Ferguson (Ash Koley), Chris Peluk (Alverstone, Mad Young Darlings), Tom Sinnott, Erik Pescitelli (Los Mapaches) and Bobby Desjarlias (The Bokononists, Attica Riots). There’s something to be said for a band that can simultaneously elicit a sense of nostalgia and new discovery; that perfectly balances an appreciation of the past with a youthful enthusiasm and mainstream ambitions. 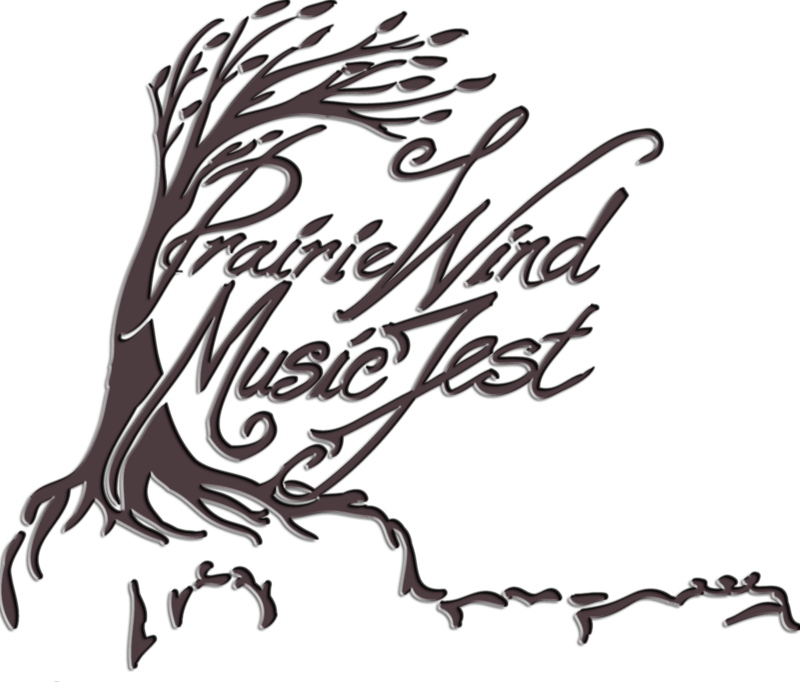 If you are interested in preforming at Prairie Wind Music Fest, please fill out the form below. We are so proud of the fabulous music we have been able to highlight through the previous Music Fests. Check out the talent from the last couple of years.